When the user try to log in he gets an error to check his username and password, resetting the user’s password did not result in any success. 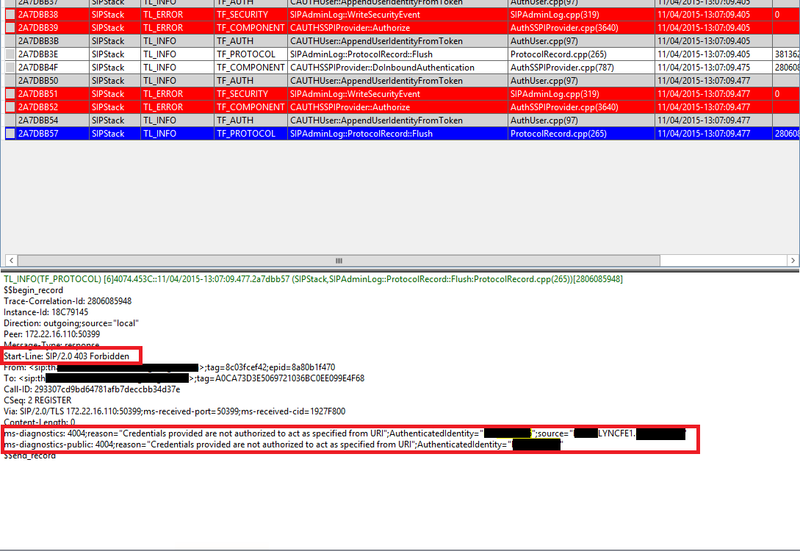 so the problem was with the user SID, for some reason when Lync synched the new accounts to its database after the AD migration, it took it with wrong SID, so Lync database had a SID of this users that is not the same like the one from active directory. so I was like “huh…?! 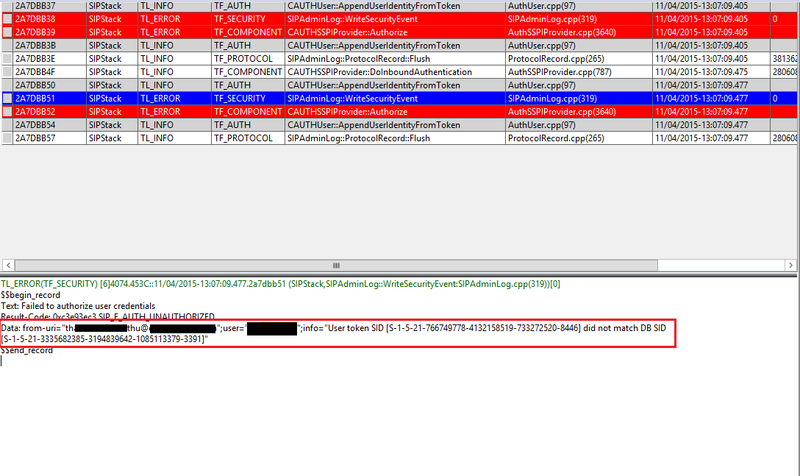 really” checking Lync, only one user have this SIP address, checking Active directory msRTCSIP-PrimaryUserAddress attribute of all users (thanks to PowerShell) found that only him has this SIP address, then what is the problem? 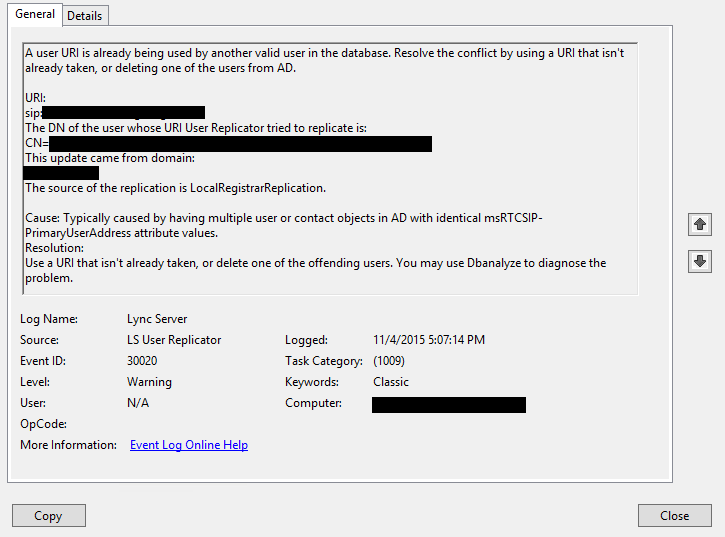 finally I tried the last two options which are using DBanalyze & disabling and enabling the user again for Lync, long story shot, did not fix it also.